Hey there Corner Clique!! 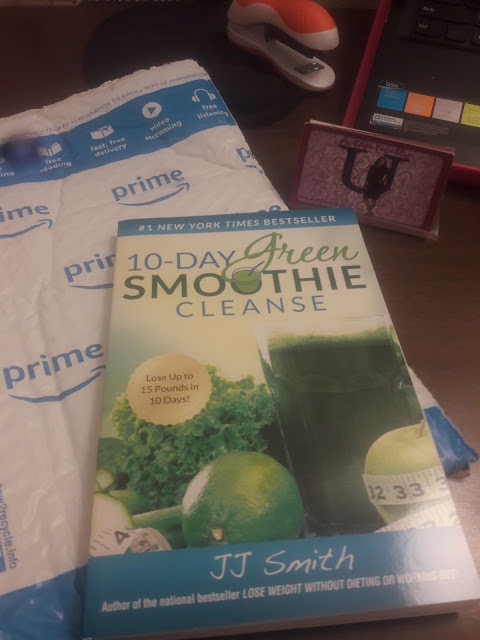 I'm so excited to start my 10 Day Green Smoothie Cleanse using the book written by JJ Smith!! 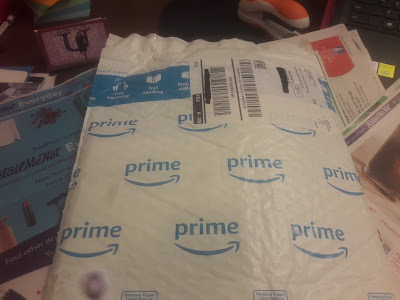 My book just arrived in the mail!! I first learned about the Green Smoothie Cleanse through social media as many of my friends were a part of her Facebook group. The group currently has over 650,000 members and it continues to grow every single day. The posts are extremely positive and inspirational and many of the groups members have become like family. JJ Smith has since some out with an additional book, Green Smoothies for Life, and she host several challenges in the FB group to keep people motivated and continuing on the right track. There are quite a few people in the group that have been using JJ's method for several years and still continue to see results. 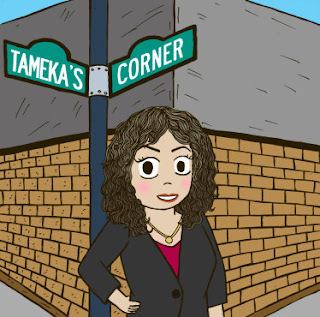 I'll be chronicling my journey through a series of blog posts here at Tamekas Corner so I hope you will to continue to follow my progress and encourage me along the way. First things first, buy the book. The book is available in several languages for digital download or paperback. Of course, I purchased the hard copy because I am certainly a "book in the hand" kind of girl with a library in my house. LOL The book won't take very long to finish as a great part of it is recipes, shopping list, and testimonials. Second, order your supplemental supplies either from Amazon or a health food store. Below, I've listed a partial list of items that JJ Smith recommends, along with some pretty smart and handy recommendations from the veterans in the group. This is the powder version of the capsules above. It works the same way and performs the same functions but obviously, it blends differently and some say it's stronger. In my opinion, this just comes down to a matter of preference. Hair, Skin, and Nails... what more could a girl want!! This collagen formula can be added to your smoothies during the cleanse and will help restore our outer appearance while the cleansing works on the inside. Along with the Smoothies, JJ also recommends drinking detox tea. I've become accustomed to drinking detox tea on occasion during my normal life (not just while cleansing) and in addition to the obvious benefits, it helps to keeps my skin clear and helps me to get my daily water intake as well. Many of the people in the group use these to prepare their smoothies ahead of time and make them more accessible during the week. I've also seen people use them for their fruit infused water. These perfect little bento boxes are used to prepare and store your weekly snacks in advance. JJ has a list of approved snacks that you are allowed while on the cleanse (I will find it and repost it here). Things like unsalted nuts, a boiled egg, and veggies can be ingested for your snack. Squarebar Organic protein bar, All variety! These little protein bars pack a powerful, flavorful punch and are great for snacking. Additionally, some people are working out pretty hard while on the cleanse and worry about getting enough protein. These help with those concerns. Third, go GROCERY SHOPPING and PREPARE! Of course, we all know that being prepared is the key to success. This is particularly the case when it comes to any type of new regimen regarding ones weight loss journey. Some people want their produce to be super fresh from a farmers market or the like every few days, while others opt to only go grocery shopping once a week. No matter what your preference, the grocery list in the book for the 10-day cleanse is broken down into 2 parts, the 1st five days and the 2nd five days so do what works for you. I can't wait to see you back here for the second part of this post when I officially begin the cleanse and give you all the details!! Until then, wherever you are in your corner of the world, continue to be a blessing to someone else and show yourself more love than ever before! !